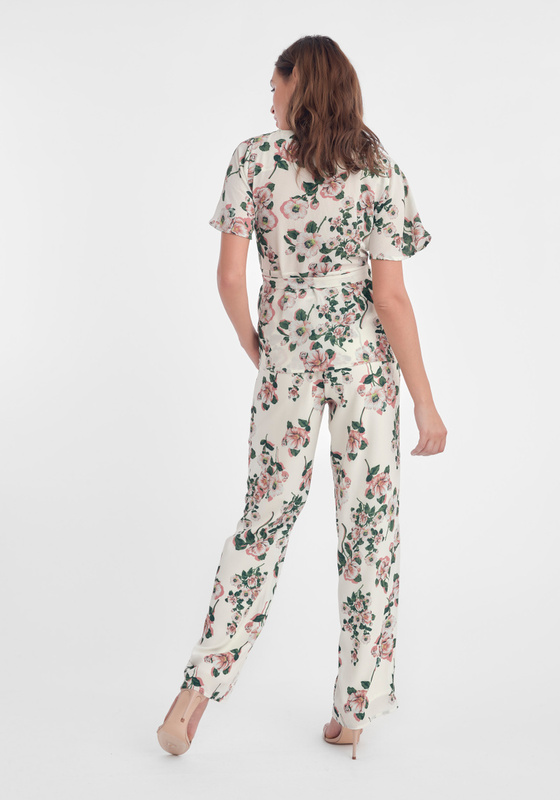 One of the most significate prints of 2019 spring collection is the fresh and feminine wall paper print -inspired by the first flowers of the spring. Cat Wrap Blouse is a part of a full set together with Trina Trousers in the same print. This set is one of the key pieces for the whole spring collection and a prospected best-seller. Perfect for your garden party, a regular day at the office or that first spring after-work with the colleagues. The blouse has a relaxed fit with an adjustable waist with tie bands. Flexible and easy to fit all body types. Flowy short sleeves and draping in the front. No lining. Can handle machine wash. Material is composed by 100% quality polyester. Regular fit true to size.